In September 2012, the US Internal Revenue Service awarded Bradley Birkefeld with US$104 million, as he provided prosecutors with detailed information about the “consultating services” that UBS AG offered to rich clients, thus enabling tax evasion. Within two months, new legislation on whistleblowers’ protection for federal employees came up by the US President Barack Obama. In Greece, although we are deeply affected by a crisis of values, bureaucracy and corruption (according to general perception at least), we seem to be missing the big picture. 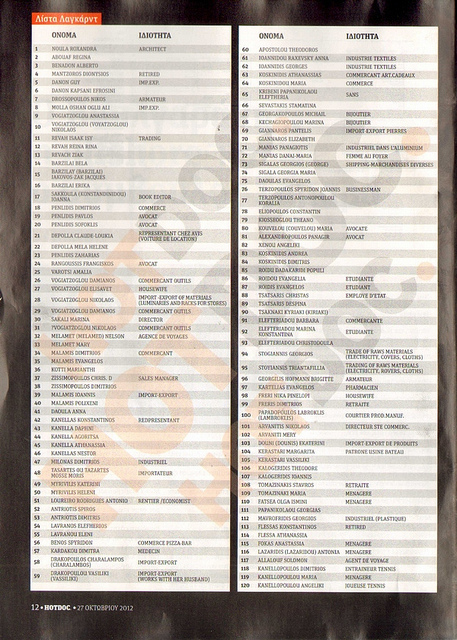 We felt awkward when the Greek journalist Kostas Vaxevanis posted the Lagarde list. We are oversensitive about handling personal data – for example, we allow the MPs’ assets declarations to be posted only for 20 days on the Greek Parliament’s website. Under such a restrictive and complicated environment, even if we, the active citizens, are willing to fight corruption, by blowing the whistle on cases, we would inevitably put ourselves in big trouble: we would lose our jobs, we would put our families in danger, we would spend huge amounts of money on lawyers and even worse we would be perceived as traitors. Lykourgos, the Athenian orator, in his speech against Leokratis said: neither laws nor judges can bring any results, unless someone denounces the wrongdoers. This is the kind of mentality we want to build: free from shortsighted negative connotations about whistleblowing. Transparency International Greece welcomed the initiative of the Government’s Secretary-General, Mr Baltakos, to award a prize to the employee of Social Security Service who revealed the so-called scandal at the local branch office in the city of Kallithea. However this is not enough. We need to empower citizens and leaders to take a stand against corruption. In late April, Transparency International Greece launched a report on whistleblowing, which highlights a group of principles inspired by the best practices and legislations around the world, that should form the basis for a comprehensive law about whistleblowing in the public and private sectors. 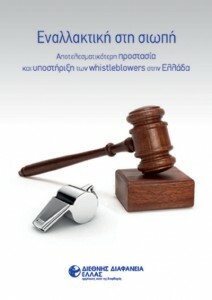 Whistleblowers’ protection from retribution, measures against all types of harm (dismissal, probation, etc), disclosure procedures and obligations and establishment of an official whistleblowing authority are some of the necessary measures that should be included in the Greek legislation, so as to tackle corruption cases. Greece could be inspired by other countries, regarding the set-up of the legal framework. But it is not enough. 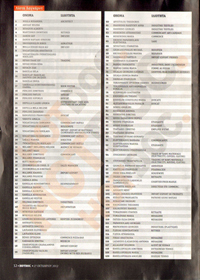 Our objective is not to multiply the number of complaints, but to resolve them on time and effectively. As our report on corruption risks in Greek institutions revealed last year, we should enhance the coordination and effectiveness of anti-corruption agencies. New legislation on whistleblowing should be accompanied with the implementation of the national anti-corruption strategy, which will place the anti-corruption agencies under the umbrella of a national coordinator who will report directly to the Prime Minister. The adoption of legislation without changing the mentality regarding corruption creates scapegoats and not heroes. Whistleblowing should be an option – not a legal obligation. The majority of whistleblowers state that they do not care about financial awards and that they would “sacrifice” their anonymity if they were to contact people they trust. On the other hand, there are people that could take advantage of the financial award (usually those that face financial problems) in order to reveal the catchy information. The new legislation should take care of both, regulating the whistleblowers’ right to gain a portion of the recovered funds. Other motivation “tricks” are public recognition, rewards, employment promotions, as well as official apologies for retribution. Moreover, the new legislation should include a full range of remedies (compensation for lost profits, court costs, etc).